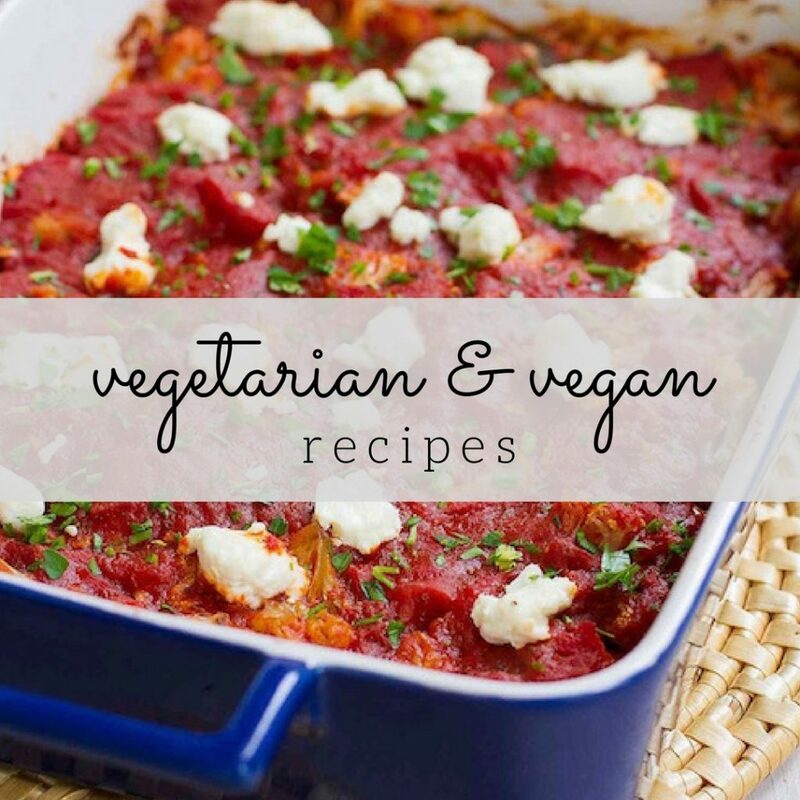 We are big on summertime side dishes around here, particularly ones that have some sort of make-ahead element, making them ideal for taking to potlucks. 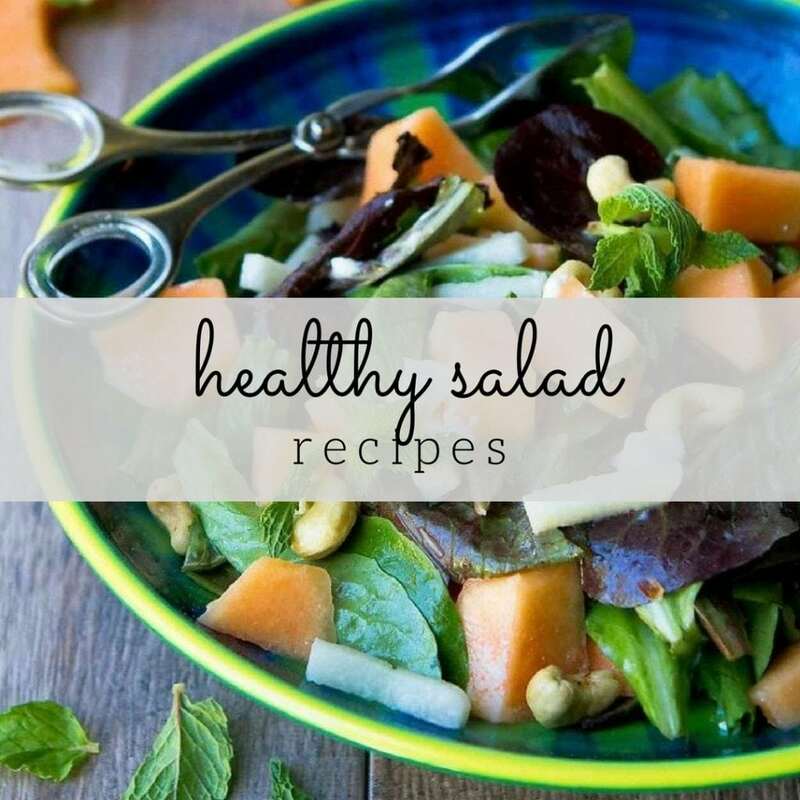 Summertime salad recipes are ideal for this and recipes like Thai Chicken Salad, Cantaloupe Goat Cheese Salad and Healthy BLT Slaw have become family favorites. We always…always…have English cucumbers on hand at our house, and we use them in green salads and sandwiches every single day. 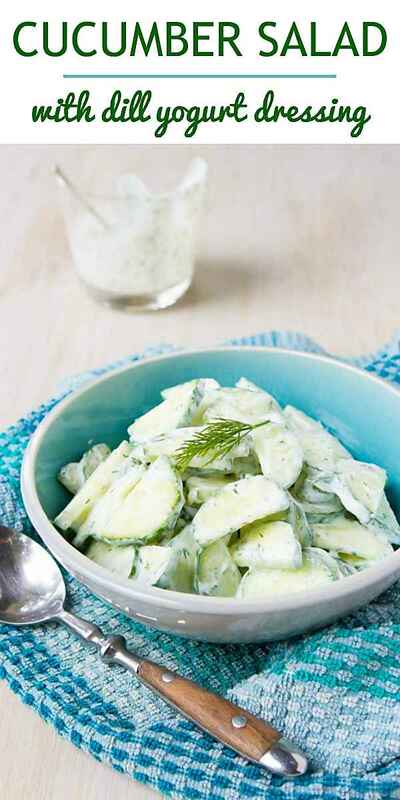 It was high time that I came up with a cucumber salad recipe. 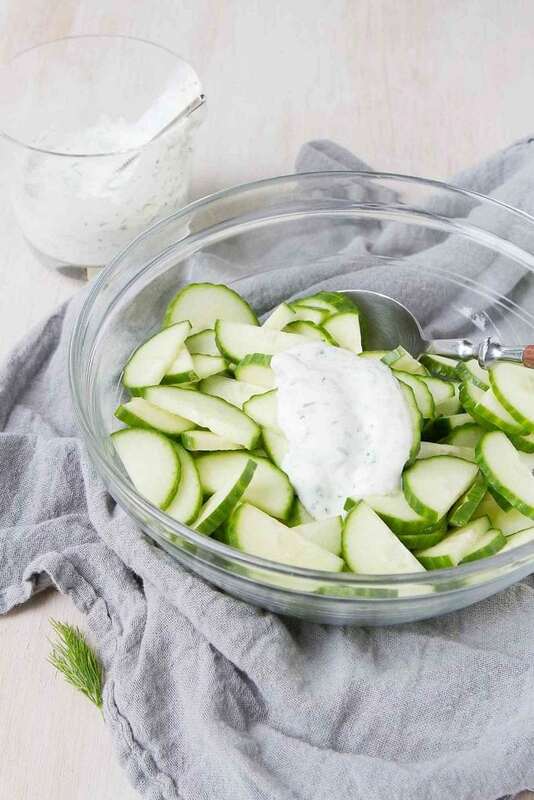 As much as I love Thai-inspired cucumber salads, with rice vinegar and fish sauce, a creamy yogurt dill dressing was the order of the day! For cucumber salads (and just in general), I prefer English cucumbers, which don’t need to be peeled or seeded. If using a regular cucumber, I recommend peeling it on removing the seeds. 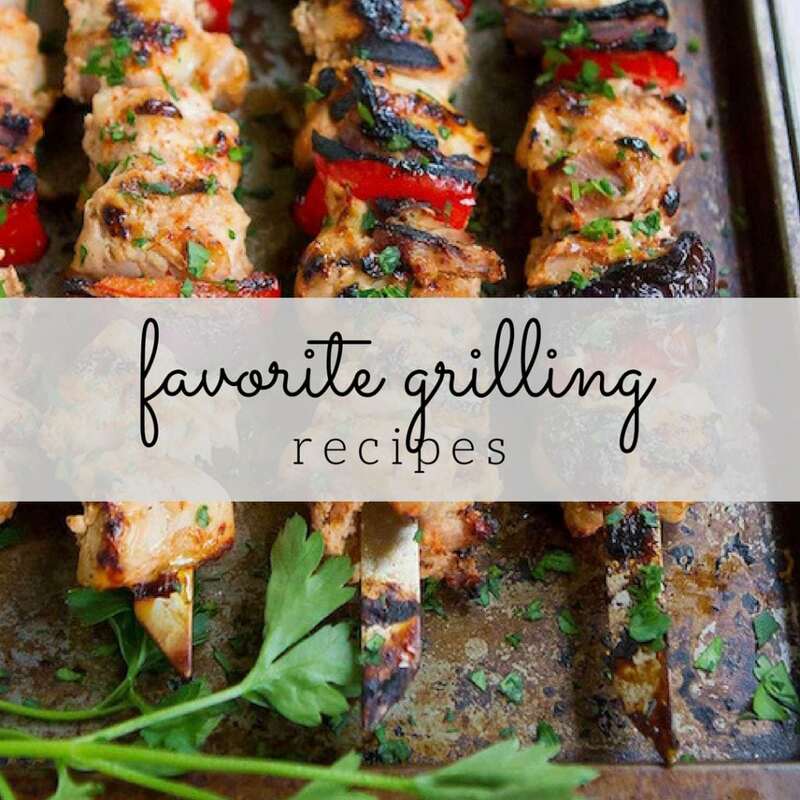 Cut the cucumber in half lengthwise, then cut each half into 1/4-inch thick half-circles. Combine the dressing ingredients in a bowl and whisk to incorporate. Stir in the fresh dill. If serving the salad later in the day, cover the cucumbers and dressing, and store separately in the fridge. Dress the salad immediately before serving. I find that if the salad sits for too long after being dressed, liquid starts to accumulate in the bottom of the serving bowl. 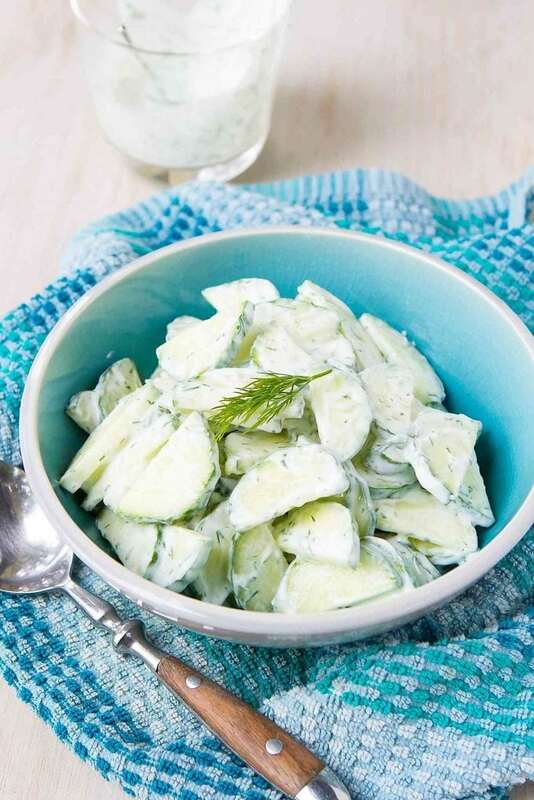 Place the cucumber slices in a serving bowl. In a small bowl, whisk together the yogurt, milk, lemon juice and salt. Stir in the dill. 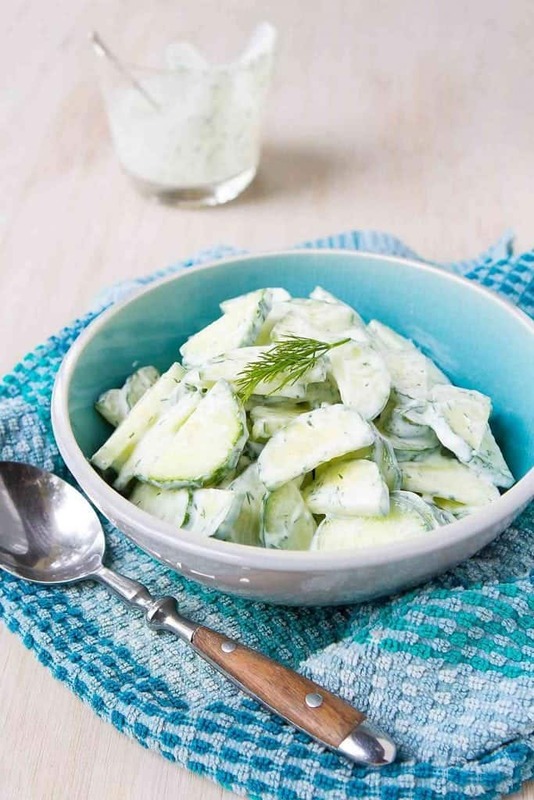 *If serving at a later time, store the cucumbers and the dressing in the fridge separately. Whisk the dressing and add to the cucumbers right before serving. I just made cucumber salad for the first time and I’m obsessed with it, yours looks so creamy!